This post is sponsored by Sargento Cheese and Meijer. As always, all opinions are my own. Good things take time. 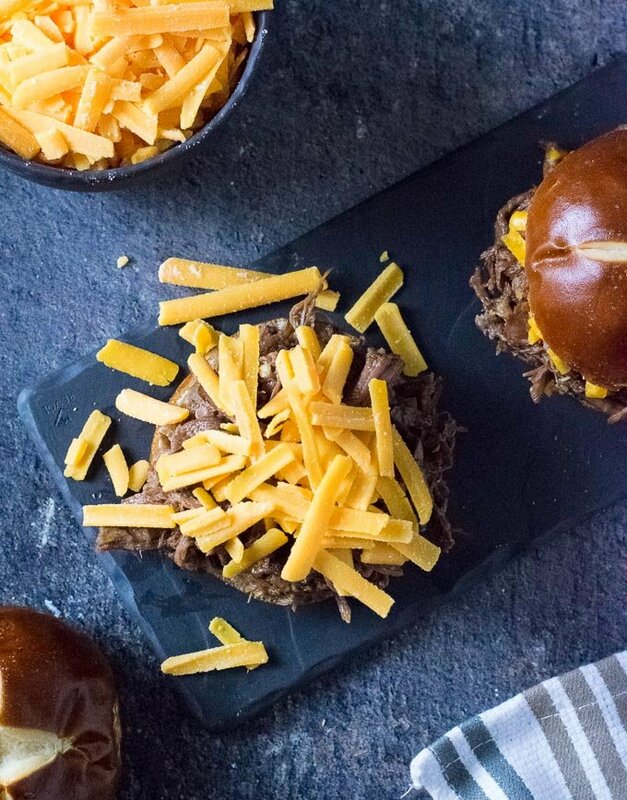 Whether it is transforming a tough chuck roast into luxuriously tender shredded beef, or letting a wheel of cheddar cheese age 18 months to add rich flavor, your patience is always rewarded with something exceptional! When you combine the two, it is pure magic. 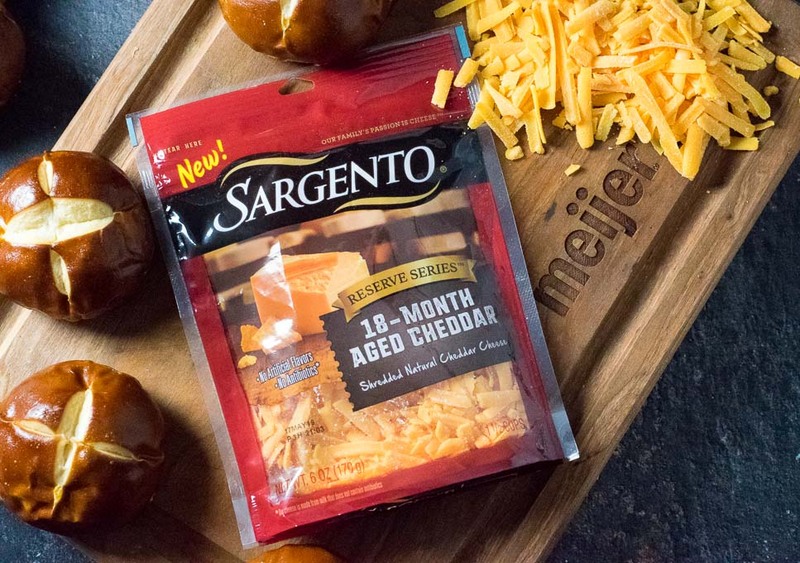 Meijer stores have recently added Sargento Shreds® Reserve Series cheeses to their already fantastic selection of shredded cheese offerings. These new cheese cuts include 18 month aged Cheddar, as well as a 14 month aged Parmesan, as well! Right now you can even click to save $.75 off 1 Sargento Shredded Cheese Package with this mPerks offer. 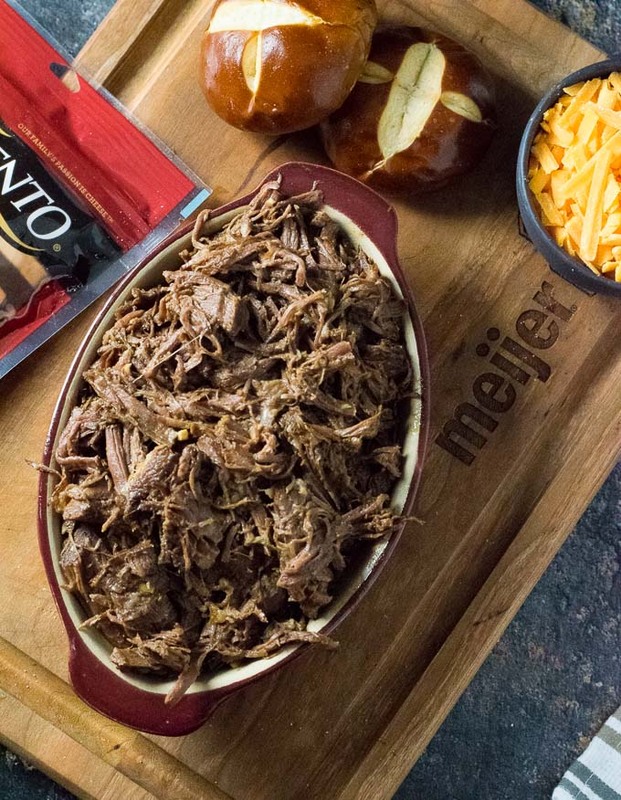 Meijer stores are already famous for their phenomenal selection of hand-cut beef, so creating a pairing of beef and aged Sargento Shreds seemed like a match made in heaven… Oh, and it was! 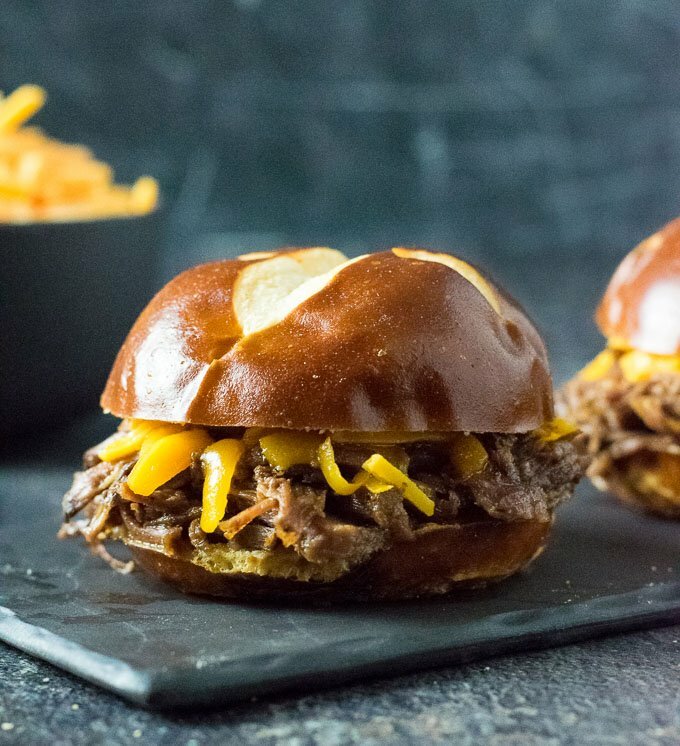 I recommend using chuck roast when crafting these beef and Cheddar sandwiches for your family. Chuck roast is beneficial not only because it is an inexpensive cut of beef, but also because it transforms into ridiculously tender shreds when slow cooked over the course of the afternoon. 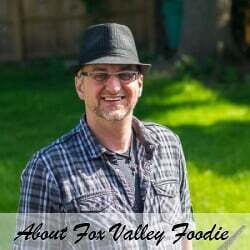 It also has the ideal fat content to ensure each bite is moist and flavorful! Topping your sandwiches with aged Cheddar really takes these to the next level. 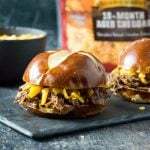 The intense aged flavor really jumps out in each bite, and serving these on lightly toasted pretzel buns really made this easy meal feel exceptional. These are bistro quality sandwiches, right from your own slow cooker! Let the chuck roast cook away in the slow cooker set on high for 6 hours. It should be perfectly tender at that point. You can set it on low if you prefer as well, however, expect it to take 8+ hours to cook. 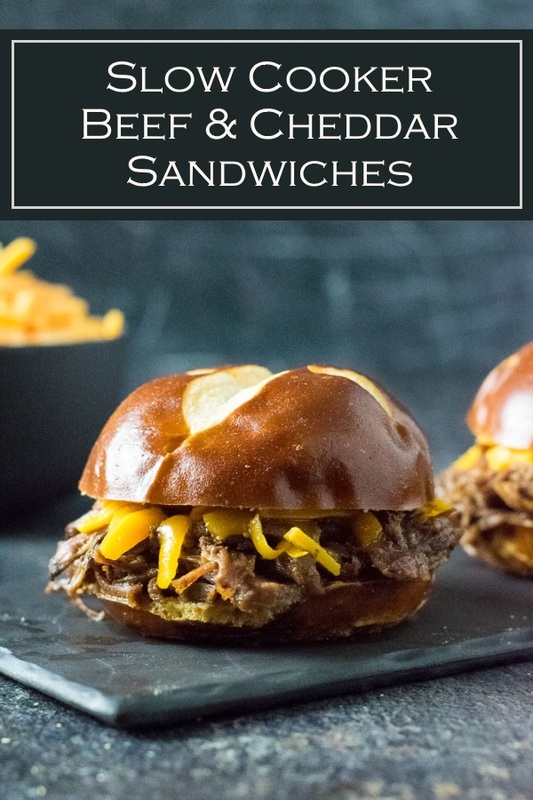 Can I make Slow Cooker Beef and Cheddar Sandwiches in Advance? Yes, this is a great meal to prepare in advance. The beef can be slow cooked up to a few days prior to when you wish to serve it. Simply reheat the beef when you are ready to serve, and then create the sandwiches. Add all slow cooker beef ingredients to your slow cooker and set on high. Cook for 6 hours, or until tender and easily shredded with a fork. 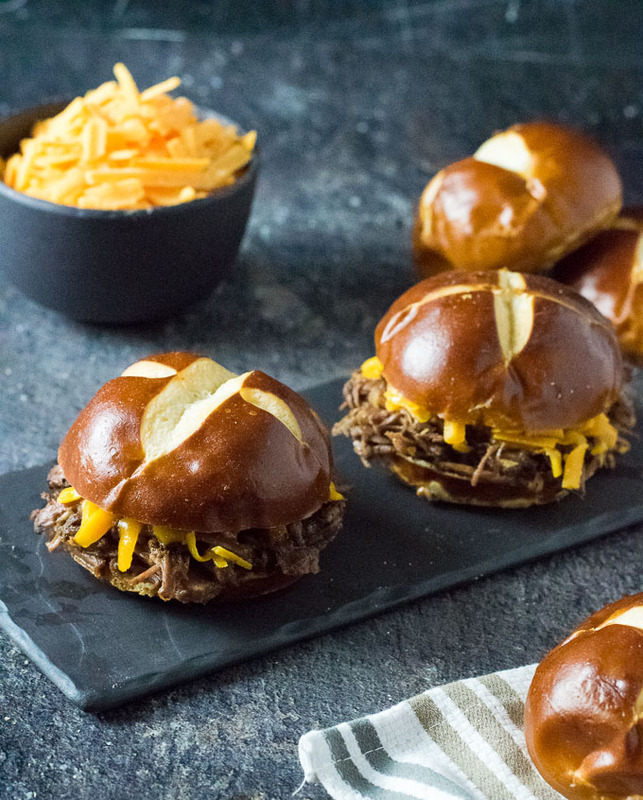 Lightly toast interior of sliced Pretzel buns and add shredded beef and top generously with shredded Cheddar cheese. IF YOU LIKED THIS RECIPE you will also love my insanely popular Italian Beef Sandwiches recipe too!